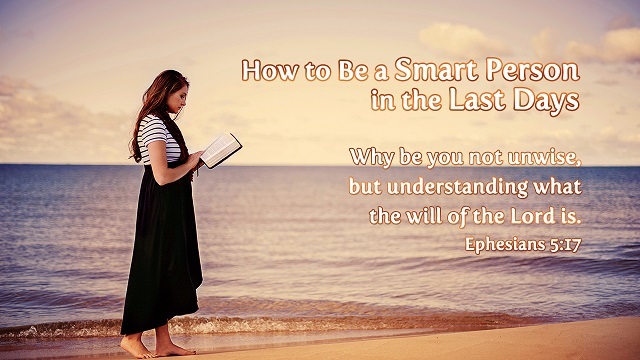 Why be you not unwise, but understanding what the will of the Lord is. When we need to make an important choice, we often say, “Whatever, it’s none of my business.” “That man is a person of authority, what he says must be right.” or say, “It must be right, because most people say so.” We make these remarks because we pay no attention to seeking God’s will. We just follow the crowd instead of knowing how God’s will is carried out in us. This is what confused people have done. How dangerous could confused people be? Jesus Christ said in Matthew 15:14 that, “Let them alone: they be blind leaders of the blind. And if the blind lead the blind, both shall fall into the ditch.” Obviously, if we treat something willfully or do as what others say and fail to choose the right path, we are like the blind mentioned by Jesus, and will finally fall into the ditch and be rejected by God. Similarly, the last days have already arrived, and Jesus will come soon. I remember God once said, “Not every one that said to me, Lord, Lord, shall enter into the kingdom of heaven; but he that does the will of my Father which is in heaven. Many will say to me in that day, Lord, Lord, have we not prophesied in your name? and in your name have cast out devils? and in your name done many wonderful works? 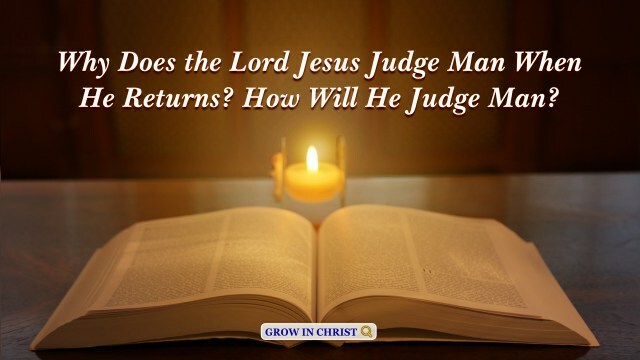 And then will I profess to them, I never knew you: depart from me, you that work iniquity” (Matthew 7:21-23).“You shall love the Lord your God with all your heart, and with all your soul, and with all your mind. This is the first and great commandment. 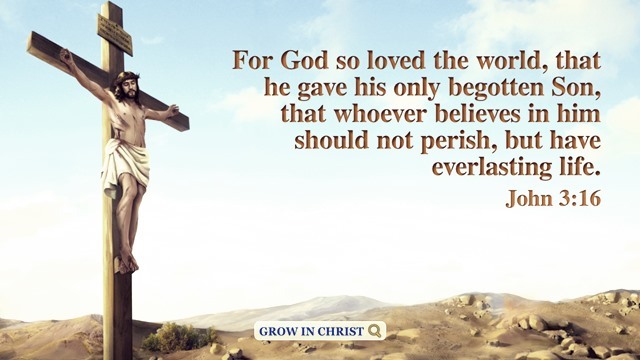 And the second is like to it, You shall love your neighbor as yourself” (Matthew 22:37-39). “For I am the LORD your God: you shall therefore sanctify yourselves, and you shall be holy; for I am holy:” (Leviticus 11:44). According to God’s words, the truth we need to know most is to understand what obeying the will of the heavenly Father refers to, how to cast off sins and achieve sanctity. We shouldn’t be confused people on this matter, but be smart people. For only if we understand and obey Jesus’ will can we be qualified to be raptured and to enter into the kingdom of heaven. What Does It Mean to Do the Will of the Heavenly Father? Are We Holy? Who Will Be Qualified to Enter the Kingdom of Heaven? Can Man Be Instantly Transformed And Raptured Into God’s Kingdom? Submit yourselves therefore to God. Resist the devil, and he will flee from you. – James 4:7 Thoughts on Today’s Verse… Satan hates God as well as the people who fear God. The Bible recorded that Satan frenziedly abused Job so that he would reject God. However, Job used his..
Why are you cast down, O my soul? and why are you disquieted in me? 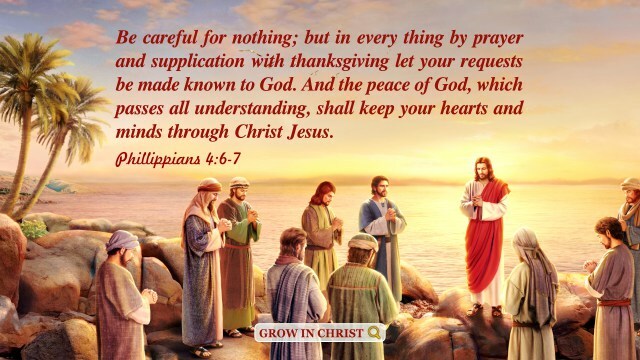 hope you in God: for I shall yet praise him for the help of his countenance. 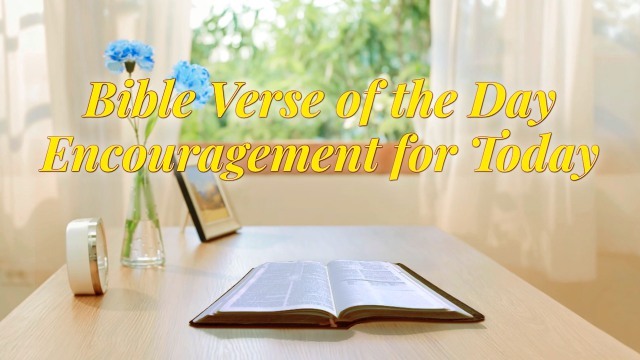 – Psalm 42:5 Thoughts on Today’s Verse… “Hope you in God: for I shall yet praise him for the..